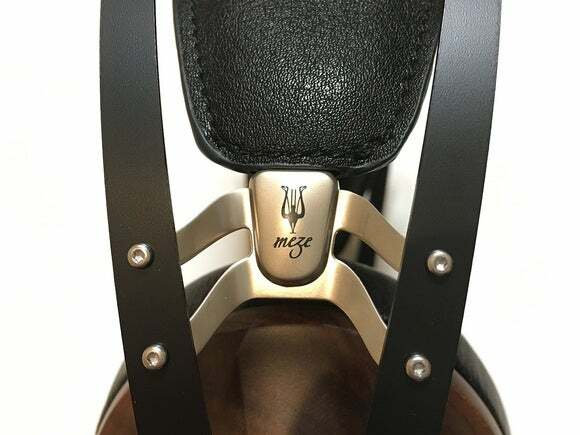 The Meze 99 Classics are an exhilarating experience for the serious music lover. Bargain headphones at a luxury technology show? I met Antonio Meze, founder and chief designer of the company that bears his name, while attending the NY Luxury Technology Show, in Manhattan. 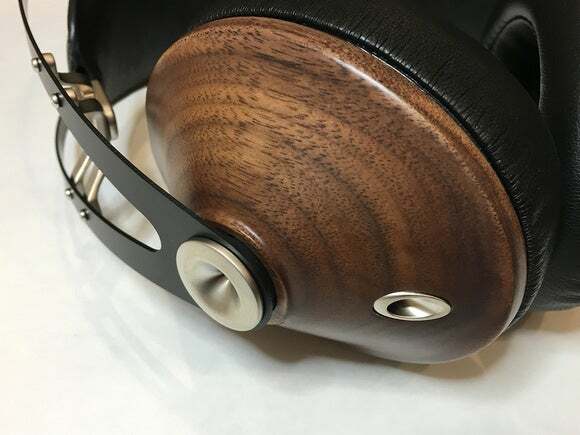 The distinctive gold tone, stylish wooden ear cups, and obvious build quality of the Meze 99 Classics headphones caught my eye as I wandered the crowded show floor. I decided to give them a short audition. Antonio had the 99 Classics connected to the superb-sounding Questyle QP1R hi-res music player, which I had just finished reviewing. While a show like that is a horrible environment to audition audio equipment, the 99 Classics passive noise isolation was surprisingly good. Certain audio cues hinted that these headphones were worth a serious, extended listen. I asked Antonio if I could request a pair for review, and he obliged. The Walnut Gold Meze 99 Classics. My review pair took a several weeks to arrive, since Antonio and his team wanted me to be among the first to receive the new silver-accented version. When I first opened my review pair, I absolutely loved the look. The gold accents on the pair I auditioned at the show weren’t my style. But the silver pair is stunning. The brushed silver look is a perfect complement to the richly grained, genuine walnut ear cups (Meze says its wood is harvested from sustainable sources). In hand, the 99 Classics didn’t disappoint. They have a sturdy, but relatively light feel to them. Their build quality? Superb. The included accessories were a treat, too. The 99 Classics come in a nicely styled hard-case with a soft inner lining. 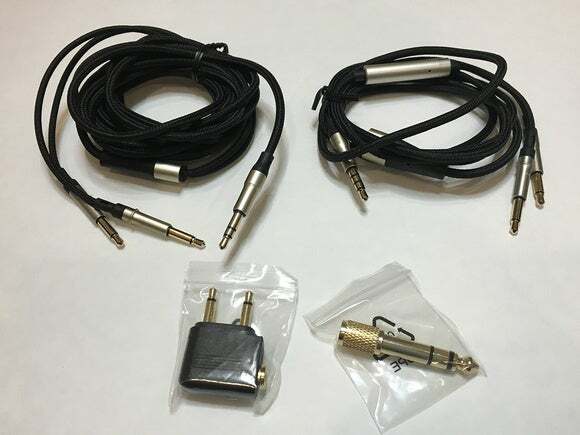 There are also two cables: a short cable with an inline microphone, and a much, much longer cable without an inline microphone. I wish other headphone manufacturers would follow this example. The shorter cable was perfect to take the headphones on the go with a portable digital audio player, while the longer cable showed its merit for extended listening sessions where a preamp or headphone amplifier might be some distance from where you prefer to sit and relax. The included two-prong airline and 1/4-inch adapter are icing on the cake. The Meze 99 Classics come with all the accessories you could ask for. As with many of the higher-end headphones I’ve reviewed, the Meze 99 Classics’ ear cups aren’t labeled right and left; instead, both sides take the included Y cable and each arm of the cable is labeled as left or right. This is especially convenient with the inline microphone. Some prefer the microphone on their left; others on their right. Meze gives you your choice. In real-world use, however, the inline mic was hit or miss. During one call in particular, I had to switch from the 99 Classics to my Bowers & Wilkins C5 in-ear monitors, because the person on the other end of the phone had such a difficult time hearing me. The Meze 99 Classics are symmetrically designed. There is no right or left ear cup; the left and right channel is determined by the cable. Another of my very few complaints about the 99 Classics was that the L and R designation isn’t printed in black. Therefore, it’s sometimes difficult to see which is the left side and which is the right side of the cable unless you’re in just the right light. To try and address this, there is a small tactile ridge on the left cable jack, so that you can feel which is the left side without looking; still, I think the Meze team should have a better visual cue. Wearing the 99 Classics was a joy—mostly. They were light and comfortable, even for very long listening sessions spanning hours. In fact, the more I wore them, the more I liked wearing them. Part of that comfort I attributed to the elastic tension headband. 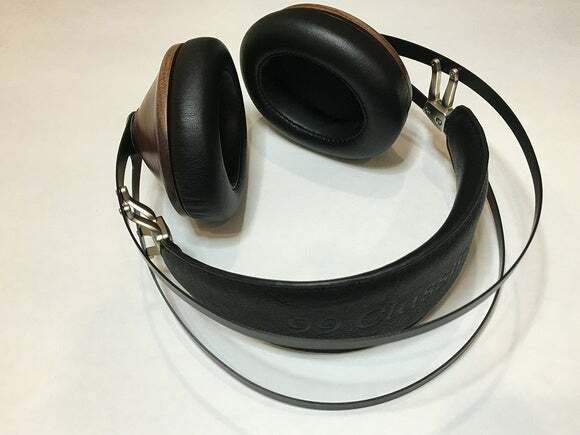 Unlike some headphones where you manually adjust the tension, the headband on the 99 Classics auto adjusts. 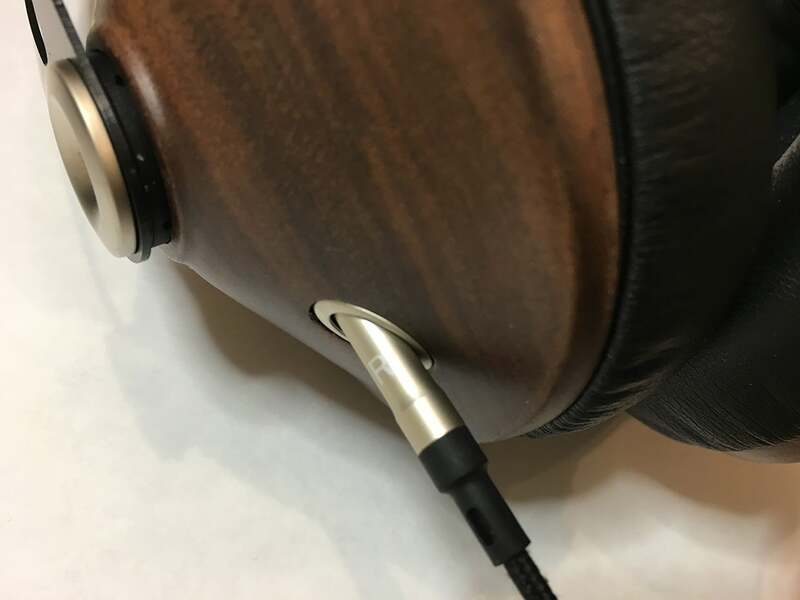 The only potential drawback is that if you like your headphones to have a certain tightness, you can’t perform that adjustment with the 99 Classics. But for me personally, the elastic tension headband worked like a charm. Above the elastic tension headband is a dual-arm aluminum arch that secures the ear cups. The aluminum arms sets the pressure of the ear cups against the side of your head. While it worked well, the aluminum headband did transfer noticeable vibration into the ear cups with even slight rubbing. I should also note that if you’re not careful, the cable will also induce noise when rubbing against your clothes. I don’t want to paint the picture that you have to be a statue to wear these. I used them while walking and even during light jogs. Everything was fine. 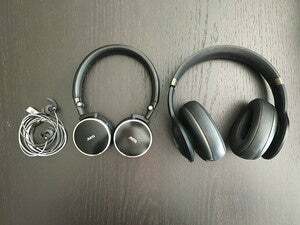 I’m simply saying that the 99 Classics didn’t reject abrasion-induced noise as well as other headphones I’ve reviewed or own. The elastic headband expands to fit your head. There is no way to manually adjust the fit. Sitting down to listen to the 99 Classics was a revelation. My immediate reaction was, “Wow, these cans have some real bite!” Playing music was a dynamic, engaging experience. Playing “Claw Trucks” from the Mad Max: Fury Road soundtrack was like a clinic. It’s one of the few headphones I’ve listened to that has been able to unleash the raw, unadulterated attack of the instruments. When paired with the gorgeous-sounding QP1R, the bottom end was completely controlled, articulate, and authoritative. I don’t use those words lightly. The 99 Classics walnut ear cups with silver accents. The 99 Classics exhibited exceptional dynamics and brought just about every track to life. They could also slow down, mellow out, and reveal nuances and details in the music. When I turned on superbly recorded music such as Alexis Cole’s Dazzling Blue, recorded by Chesky Records, things just came to life. 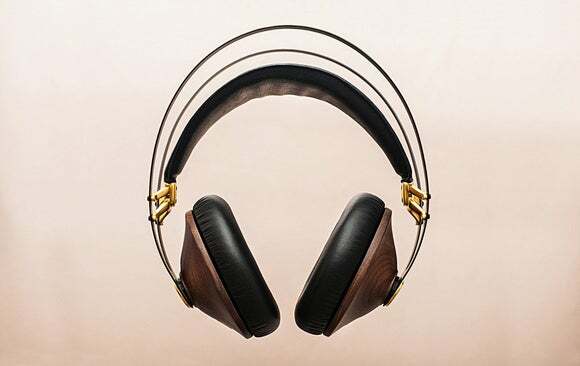 With complex orchestral pieces and even jazz tracks from Holly Cole or Patricia Barber, I found that the 99 Classics had an uncanny ability to lift up instruments that were seemingly recessed through other headphones. I’m not saying that this is better or more accurate. I’m simply saying that it was a noticeably different, but also euphonic, experience. The meticulous attention Antonio and his team paid to voicing the 99 Classics was obvious, and it pays off in spades. The Meze 99 Classics are stylish and exhibit superb attention to detail. I will also caution one final note. While the 99 Classics were easy to drive with just about any digital audio player or mobile phone I tried them with, they sounded different depending on which digital player I paired them with. That’s a compliment to the 99 Classics. Choose wisely. While $309 might seem expensive to some, the Meze 99 Classics are a downright bargain (Amazon's price is $50 higher for whatever reason). Their aesthetics, build quality, and sonic performance could easily command hundreds more. If you are serious about music, then don’t overlook the Meze 99 Classics. Easily and highly recommended. 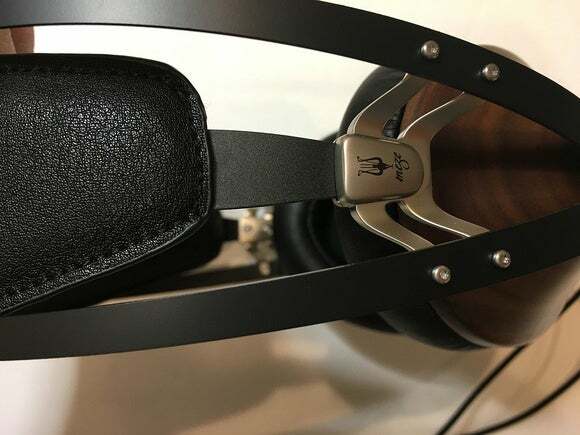 This story, "Meze 99 Classics headphone review: beautifully crafted cans" was originally published by TechHive. Paired with a high-quality digital audio player or headphone amp, these cans deliver with musical bliss in comfort.